Gov. Gov. 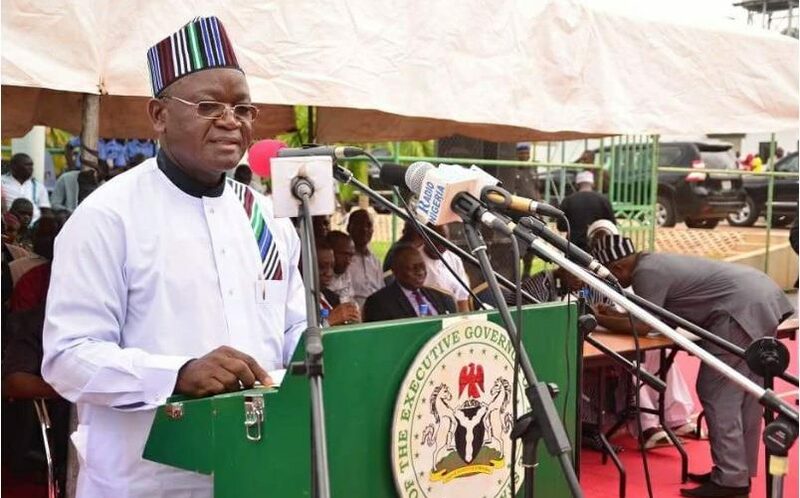 Samuel Ortom of Benue has said that the people of the state have resolved to “resist any form of intimidation and rigging during the 2019 general elections”. Ortom stated this on Sunday in Jos, while answering questions from newsmen, shortly after a special Church service. ”We hear that people are scheming to win elections at all cost; some have openly boasted that they will use force to subvert the people’s wish. ”We are on ground and ready to confront anyone with such idea. As long as government is willing to conduct free and fair elections, we are there to support them. ”But if anyone attempts to do otherwise, the people will resist that. There is no doubt about it,” he said. Ortom, however, appreciated the Federal Government for the prevailing peace in the state and prayed for its sustenance. He said that his administration would not hesitate to appreciate the Federal Government when the right was done. ”The introduction of `Operation of Whirl Stroke’ has really solved our security challenges in Benue, especially the invasion and attacks by herdsmen. ”Some people are trying to change the narrative. They do not want the outside world to hear the truth. The situation gets more shocking when people, who know the truth, choose to say something different. ”At the moment, we are happy, but when things are not right, it is our duty to voice it out. We shall continue to do that. ”Now, we have appreciated Mr President and the Federal Government for giving us adequate security in the state. If the situation changes tomorrow, we shall shout,” he said. Ortom also said that the recent engagement of many youths into various ventures was to prepare them to take over leadership roles in Benue, pointing out that the current crop of leaders would not be there forever. ”No matter how lean our resources are, there is every need for us to continue to engage the youths. ”That is the motivating factor and I think that has inspired our youths into gainful ventures instead of going into vices like cultism, drugs and so on,” he said.